The AfricaInteract Continental Conference is attended by more than 250 delegates who include senior officials of national governments, representatives of regional economic organizations, researchers, development partners, network partners, and country nodes representing farmers’ organizations, agri-business, development partner agencies and parliamentarians. The launching of this synthesis report stems from the partnership between CORAF / WECARD and three other regional organizations namely ASARECA (East Africa), The COMIFAC (Central Africa) and FANRPAN (South Africa) as partners in AfricaInteract project, funded by the International Centre for Research and Development (IDRC) with the support of FARA. 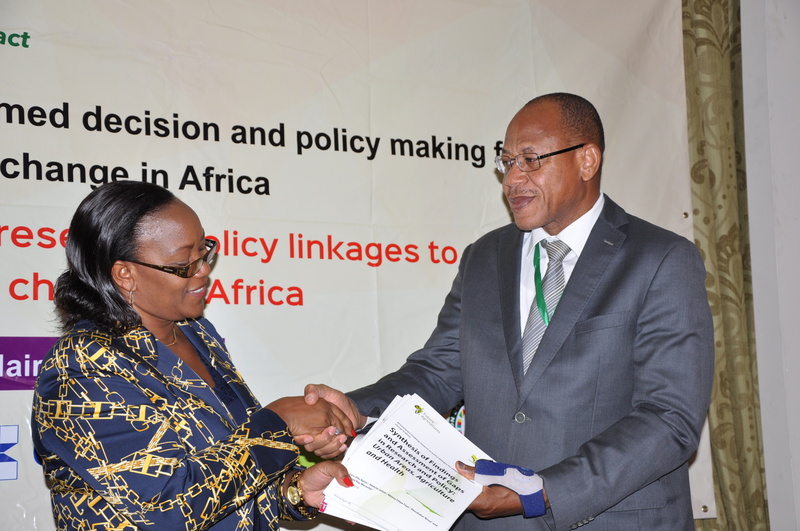 Three distinct themes – Urban areas, Agriculture and Health – are covered in the four regions of Africa; Western, Central, South and East Africa. Research results in these different regions show a growing knowledge base designated to adaptation to climate change as well as strengthening research capacity on adaptation in the fields mentioned above. 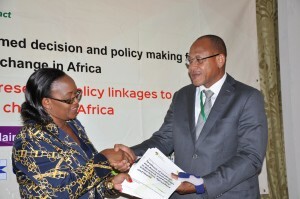 This helped to establish the following four recommendations namely; the need to better understand the adaptation actions and their results, the need to address gaps in policies and increase the adhesion of policies, the need to make better use of data from this research and finally, the need to respond to gender-related concerns.